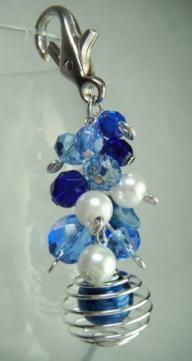 Suspended from a large blue fire-polished Czech crystal, is a bright blue lampwork heart with a tassel of matching crystals and Mother of Pearl rectangle beads at the bottom of this gorgeous bag charm. 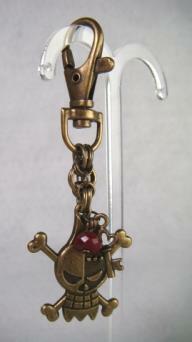 The chain and large robust toggle clasp are in Silver tone. Decorative charms to customise and accessorise handbags, planners and keys.